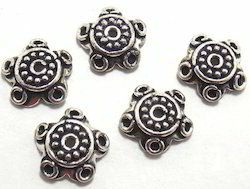 We are the renowned Manufacturer of Beaded Ladies Caps made using quality fabric. 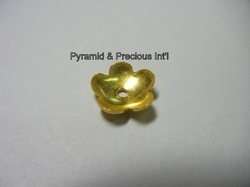 Our Beaded Ladies Caps are high on demand in the market because of their attractive designs and patterns. The finely embellished Beads make them the first choice of women. The Beaded Ladies Caps beautify the women who wear them, and give them a trendy look. Bead Caps used for jewel making are available in different materials, shapes and colors. In order to fulfill various demands of our esteemed clients, we are engaged in manufacturing an optimum quality array of Brass Bead Cap. - Avilable in Cheaper prices. Bead caps used in jewellery making.